Your proprietary search for prospective sellers should be viewed as a carefully scripted marketing campaign. Your “pitch” should quickly capture the attention of business owners and trigger a conversation about turning their legacy over to you. With limited resources, you should push as many prospects through your “sales” funnel in order to yield the most qualified leads. It’s a numbers game. Typical searchers reach out to 250 to 750 new prospects per month, some as many as 15,000 in their 24-month search. Intermediaries such as brokers and M&A specialists have a place, especially early in your search while you are discovering and evaluating new industries, but the numbers and quality of leads generated through this route is just not sufficient; you must prospect early and repetitively directly to owners. Over time, your prospecting should shift to 80% direct solicitation, leaving the balance to intermediaries. Choosing narrowly-defined target industries to focus on is important. Within limits, the more specific the niche, the better off you will be. Mining databases of prospects will allow you to create prospect contact lists, including owner name, address, size, date founded and other relevant data. Most major libraries have these lists available through subscription services for download and conversion into a spreadsheet. Some you may have to pay for, but are generally low in cost, while others are free. The US Census Bureau maintains a list of companies that do business with the government, and that list is available for download. Trade organizations may list their top 250 or 500 members on their websites or in publications. Local business journals regularly list industry data by company. Inc. Magazine publishes a list of 5,000 growing small companies which is available online for free download. You will need to clean up these disparate datasets into a list of prospect leads. Your outreach campaign will surface the owners who are willing to speak with you. Classic networking is too inefficient for a searcher to pursue exclusively. You just don’t have time to go after the myriad of geometrically expanding number of leads that a networking search would yield. Additionally, it consumes a huge amount of time, cannot be delegated, and gives a false sense of “activity”; though you may be busy, you are not generating many qualified leads. An email blast to your extended network that announces your search, website and target industries are good moves in the first month of your search, but time spent here should be short. “Dialing for prospects”, often used by Investment Bankers to secure new clients, is also too time consuming, does not lend itself well to an intern making the calls and has a very high rejection rate. 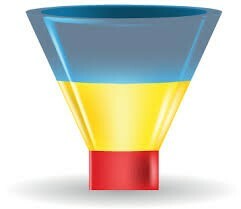 In my experience, when a searcher has reverted to this technique, it generally means that their funnel is not large enough at the “top”, their yield is poor and with nothing else to do, the searcher resorts to using Google searches to phone prospects. A well-tuned prospecting campaign should prevent this. Email prospecting can be effective and in my informal surveys, is used by about more than 50% of searchers. Its greatest attractiveness is its low cost. However, with so much unsolicited email these days, potential sellers may miss these solicitations and yields are typically very low. Avoiding being labeled as a spammer is also an issue, and most email systems like Constant Contact or Mail Chimp require an opt-in verification system so cannot be used. Jon Boyd, co-founder at Lakeside Partners, has had success with YesWare which has tight integration with Gmail and is less restrictive about who you send to. Reply.io is also being used, but at $200/mo is a much more costly option. One searcher uses PersistIQ with great effectiveness by following up printed letters with emails resulting in very high yields. Surprisingly, Snail Mail is still a widely used method by searchers and generates the highest yield but at a higher cost in real dollars and time. Many use a mix of both email and printed letters. Pre-printed, #10 envelopes and stationary in an “off white”, distinctive color can be laser printed with mail/merge systems that visibly demonstrate to the business owner that you are serious. Learn the complicated rules that the US Postal Service has for first class, presorted mailings and you can cut your costs somewhat. With the advent of web-based stamp providers, the need for having an old fashioned stamp is declining. Don’t resort to a “bulk mail” number. Using a color printer can allow you to “yellow highlight” 4-5 key sentences in your letter and using a blue or green felt tipped pen to hand sign to add a personal touch. Get your message across in five or six paragraphs; business owners just don’t have time to read more than that. Raise issues that are important to them and offer a solution. Show that you are different from other buyers. Emphasize that they will need to act with urgency as you will be selecting one business to purchase and you want it to be theirs. Use mail merge to personalize your message to catch their attention and relate on a more exclusive level, significantly improving your yield. Reference to the business’s location, industry and market. Some additional personal information – age of company, or information from a quick Google search – shows you have some knowledge of who they are. Most searchers use their interns to capture this unique information or even outsource it at very low rates to Upwork (formerly oDesk), Elance or Amazon’s Mechanical Turk. Curating and qualifying your list of prospects is important in the process. Verifying the phone number, and determining that the company is still alive and that the name of the owner is spelled correctly are all basic tasks that can prevent a lot of wasted time or bad first impressions. Use color to highlight segments that to draw the reader’s eye to differentiating text. In your final paragraph, ask them to contact you, the “call to action”, and include a reminder that you are not a business broker or intermediary, but acting on your own behalf. Potential sellers get these “snail mail” letters regularly, so make yours different and distinctive. One searcher, Paul Thomson, from Scottish American, placed a Scottish “Highland Toffee” bar in each envelope. Talk about being memorable! He even learned which postal window would not put them through the sorting machines to prevent them from ending up in the “lost letter” area! Depending on your interests, baseball cards, a playing card, or even your business card with “Call me” hand written in colored ink on it may be distinctive enough to start building rapport with a seller. Searchers report that solo follow-up phone calls are ineffective; it is just too hard to get a seller on the phone. Also, when your search is in full swing, you do not have the time to devote to placing the calls. You want to avoid “activity” that is ineffective. Instead, generate multiple mailings to the same prospects, monthly throughout your search, even if they have responded negatively. After-all, you have spent considerable time qualifying the prospect, so take advantage of it. Just because a seller does not respond the first time, does not mean they would not consider it again 4 weeks later when their circumstances might be different. Don’t worry that they might keep track of how frequently you are contacting them and perhaps thinking you are a “loser”; they might just be in a different place. ‘No’ does not mean ‘no’ forever, only for now! Your CRM needs to be set up to track the history of your outreach to make it easy to see how the message was personalized. When speaking with the owner for the first time, you want to be able to quickly reference where the lead came from, what your focus was and how to get that information at your fingertips when the call comes in. Searchers report that Base and Zoho are effective low-cost CRMs for this purpose, compared to the more fully-featured Salesforce.com and Pipedrive. The system and process takes a while and is best started on a small scale early in your search. Numbers are what count here, so target as many as 500 a month to start. You can expect about a 5-7% response rate, including rejections. The more you invest in pre-selecting, the better your results will be. As with any process, set weekly goals, measure yourself and track statistics to see your results. Focus your interns on industry specific list development – challenge them to be experts. However, always sign the prospecting outreach under your name, never under the name of an intern. All contacts with a seller must be with you directly, this cannot be delegated. Establish quarterly reviews to “re-vamp” the system and “tweak” your system to optimize how it is working for you- a good skill to have developed when you actually run your company. Nic Anderson of Elm Grove has restructured his process and specific language 3-4 times over the course of his search, each time resulting in improved seller yield! Prospecting is at the core of the search process. It takes a while to get it right, but it does scale well and keeps you focused on speaking directly with business owners who are motivated enough to reach back out to you based on your carefully and thoughtfully crafted appeal to have them consider turning their legacy over to you. Great post, Jim. I would agree with your recommendation that any snail mail outreach also includes an email follow-up. One of the things I’ve seen a lot is that the business owner will forward my email to others to whom they turn for counsel, advice or shared decision-making–a spouse, an advisor, a contract CFO, peers from their Vistage group, etc. Email lends itself to that more easily than a letter. Kelly, this is a great endorsement for the combined effectiveness of a personal letter followed up by an email. If you can get through the spam filters, it is a great way to continually reach out to the business owner and initiate a trusted dialog. We searched for a business for just over 16 months in Switzerland and Germany and sent well over 1000 “individual” letters to business owners. We sent the letters with special high-quality texture envelopes and handwrote the adresses ourselves to each owner. Also, we sent to the business owners home address and ensured letters would arrive on Saturday – the day the business owner would likely be home and go through his personal mail. We had one or two more “tricks” to this mailing (we were a two person search fund and signed each letter both of us: one person in black and the other in blue; we also added a magazine article that was written and published about us, etc. etc.) and it was quite successful I’d say – we had lots of “seller-serious” meetings with business owners and eventually also found the company we now own and run through a letter. I can therefore strongly recommend this approach! Tobias, it is amazing to hear that much of these direct approaches work so effectively for searchers who can connect one-to-one with the prospective seller. This helps distinguish you from the PE firms that are trying to do the same thing, but don’t have the ability to “bond” with business owners. Jim – thanks for the insights. I would agree that personalizing the message is critical. Target company information can be used to personalize the message as you outline above. In addition, I think personal information about the searcher that is relevant to the business can be effective too – particularly to sellers that are concerned with their business legacy. The personal information about the searcher does not have to be limited to professional experience but also can be an interest of the searcher provided the connection to the business is obvious. For example, incorporating a sentence about one’s interest in cars might be of special interest to the owner of an auto parts manufacturer. When doing so, it is important to not appear “corny” or distract from the central prospecting message. Taking time to get it right will pay off. This may be a particularly effective approach for people coming from a finance or other less operationally focused sector looking for a new way to connect with owners. Andrew, thanks for commenting for the first time. Other searchers have found that the more personalized the outreach is, the higher the engagement with the business owner. These early efforts to build trust with the potential seller are important in helping the owner see your suitability to take care of their legacy.